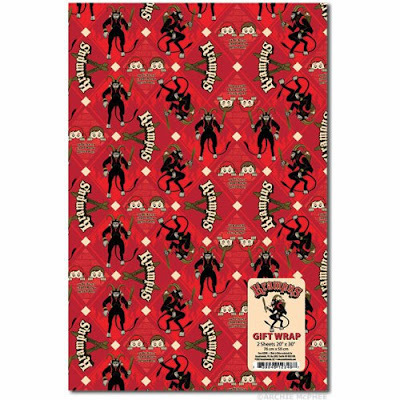 Use this Krampus gift wrap for all your demonic holiday gift wrap needs. If your recipient isn't too scared to open their package, you're doing it wrong. 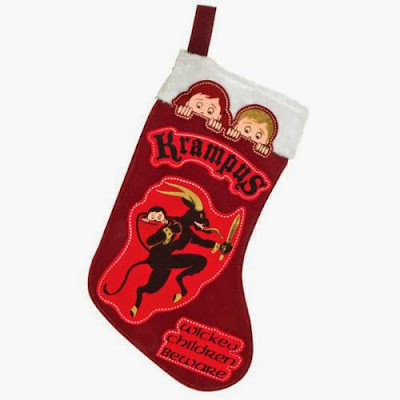 I'd be a little hesitant to peer into my Krampus Christmas stocking too! 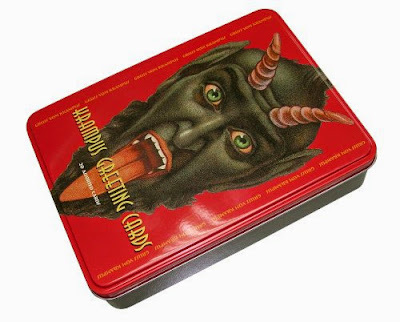 I can't imagine sending my Christmas newsletter out on anything other than these Krampus greeting cards. 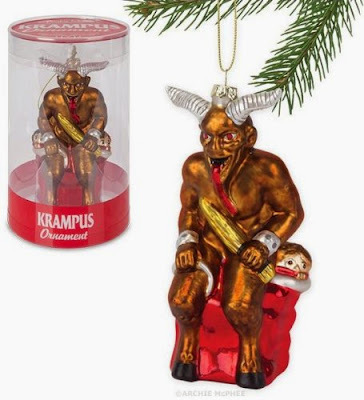 Festoon your gothic Christmas tree with this Krampus ornament! Here are some Krampus stickers for a nice indoor dark and rainy day.